standard by American Nuclear Society, 01/01/1993. 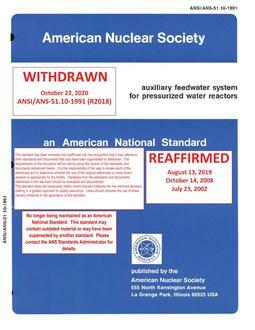 standard by American Nuclear Society, 11/20/2009. 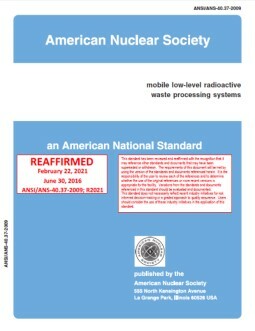 standard by American Nuclear Society, 02/15/2012. standard by American Nuclear Society, 01/01/1983. standard by American Nuclear Society, 11/05/1979. standard by American Nuclear Society, 05/10/1991. 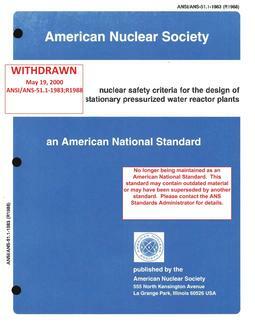 standard by American Nuclear Society, 12/21/2011. standard by American Nuclear Society, 01/01/1989.